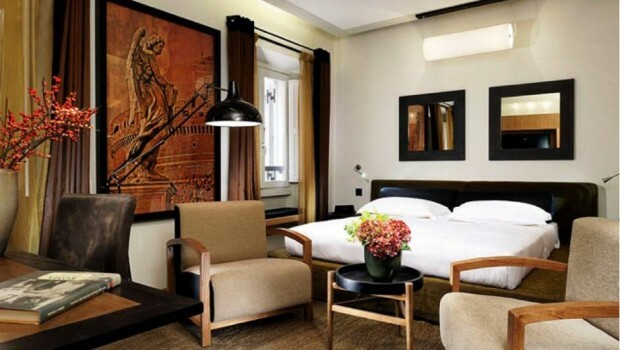 A special guest article by Escapio.com with insider tips on the most stylish Tuscany hotels. 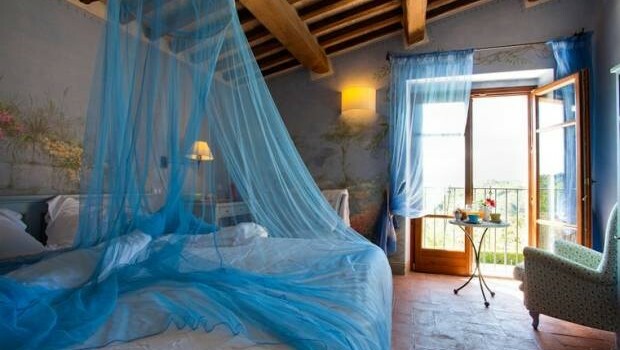 All the Tuscany hotels featured are unique with fabulous services and beautiful surroundings, ideal for a getaway to central Italy. This design hotel is nestled among never ending olive and cork tree groves. 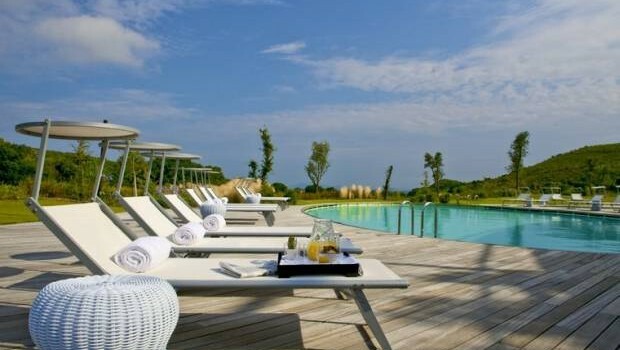 The exceptional views include the Ortobello lagoon. The interior shouts luxury and class with original art throughout. Guests enjoy golf year round on the scenic 18-hole championship golf course. Mealtimes at the fabulous restaurant offer a choice of eating in a big circle with other guests or a cozy corner for two. Cocktails are served at a magnificent bar built around a spiral staircase; the perfect atmosphere to end an enchanting day in Tuscany. Visit Argentario Golf Resort & Spa for more information. This wellness hotel is a former estate from medieval times. 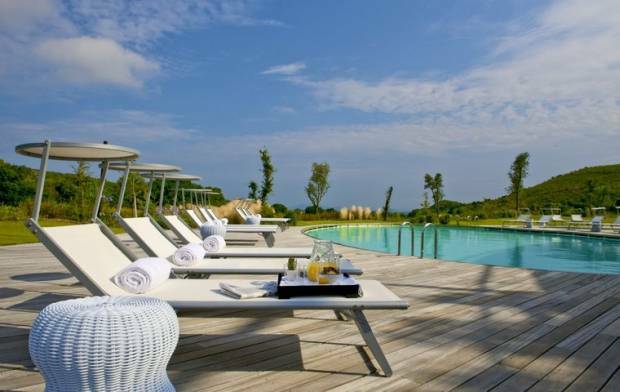 Today it is a tranquil resort located in one of the most beautiful settings on the peninsula. Its sits in the ruins of a former parish; which provides complete peace and quiet. Nature and modern amenities combine for a perfect balance for the body and mind. Each of the 12 rooms is named after a flower or plant to symbolize the hotel’s tie with nature. Every room is fitted with water cooling beneath the floor. Wellness treatments include hydromassages, sauna and a Turkish bath. 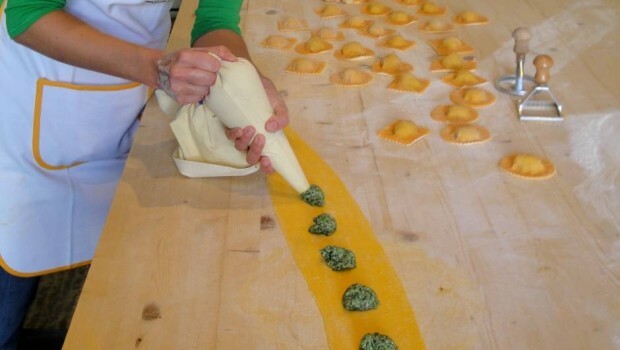 The classic flavors of Tuscan cuisine are offered in abundance for food lovers to explore made with fresh, seasonal ingredients. Visit La Melosa Resort for more information. The resort and spa is actually more a small chateau than castle as the name suggests. 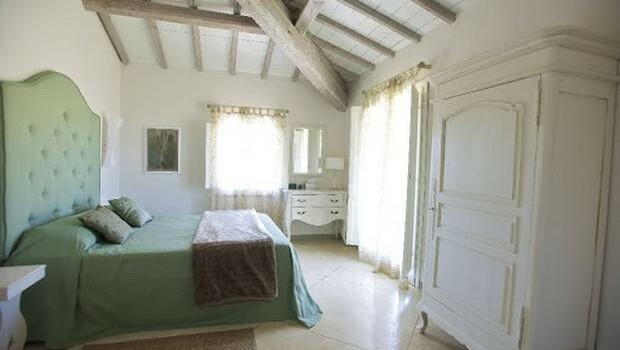 It sits amidst wooded hills and luxuriant vineyards that provide lifetime memories. Its history as an 11th century castle enhances its charm and beauty. The guest rooms are swathed in warm soft yellow tones in both historic and modern country home styles. Interior spaces retain the arched ceilings, stucco and stone terraces of Italian architecture from times past. Guests participate in horseback riding through the countryside, bicycling or just relaxing and breathing in incredible beauty. 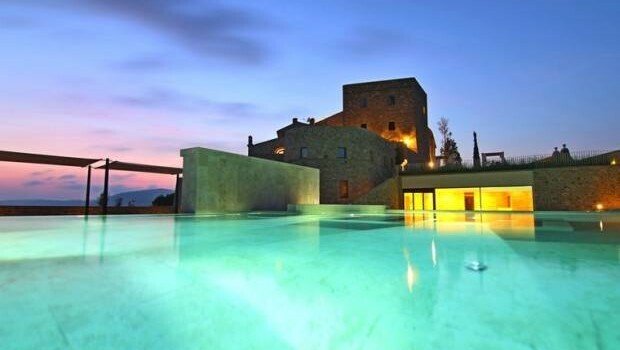 Visit Castello di Velona, Tuscan Resort & Spa for more information. 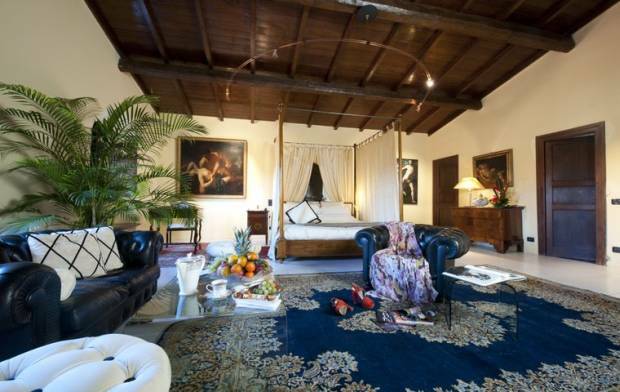 This country house turned hotel is located at the foot of the scenic Tuscan hills. Converted from a from a 17th century water mill, it combines old world charm and modern amenities for a romantic getaway. Comforts include a health spa with sauna and pool. Rooms are WiFi compatible. Babysitting is among many fine services offered to guests. The Millstone Suite is an especially delightful room, with an old millstone converted to a bathroom. Visit Relais II Bottacio di Montignoso for more information. 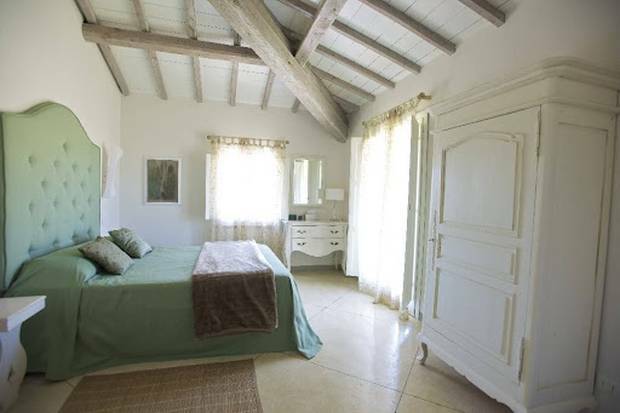 Located in the Chiana Valley, this villa affords full scenic views of the countryside and little towns on the hill. 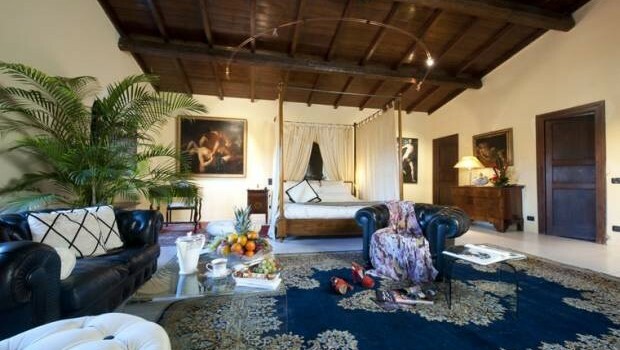 The hotel sleeps 18 and is rented as a villa or by the room. It is popular for magnificent scenery, inspiring long romantic walks. Guests delight in exploring quaint towns, like Cortona, on the adjacent hillside. The hotel is famous for its evening feats. Guests eat, drink and socialize until late at night at what is called conjoint dinners. These exquisite feasts are served out on a terrace by the mother of one of three hotel owners. Visit Hotel Villa Fontelunga for more information.